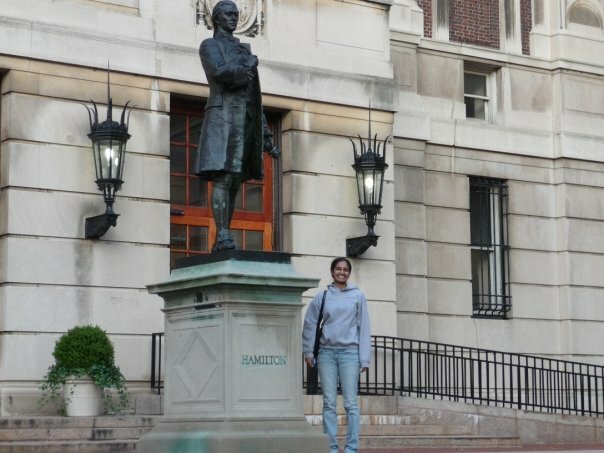 Hamilton Statue at Columbia University – It's Hamiltime! The statue of Hamilton at Columbia University stands proudly outside of Hamilton Hall and greets students and campus visitors. The Hamilton statue was commissioned by the Alumni Society and erected in May 1908, as part of the commencement celebrations of that year and was presented by the Alumni Society to the school. The Columbia University Quarterly from 1908 describes in detail the poetry verses and procession that were part of the celebrations surrounding the unveiling of the statue. ← Fodor’s: Nevis a Must-Visit Destination!